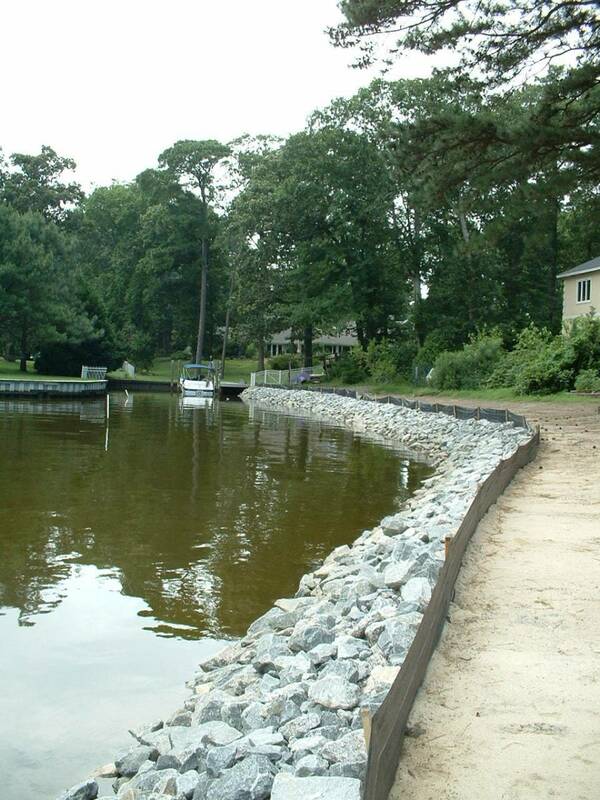 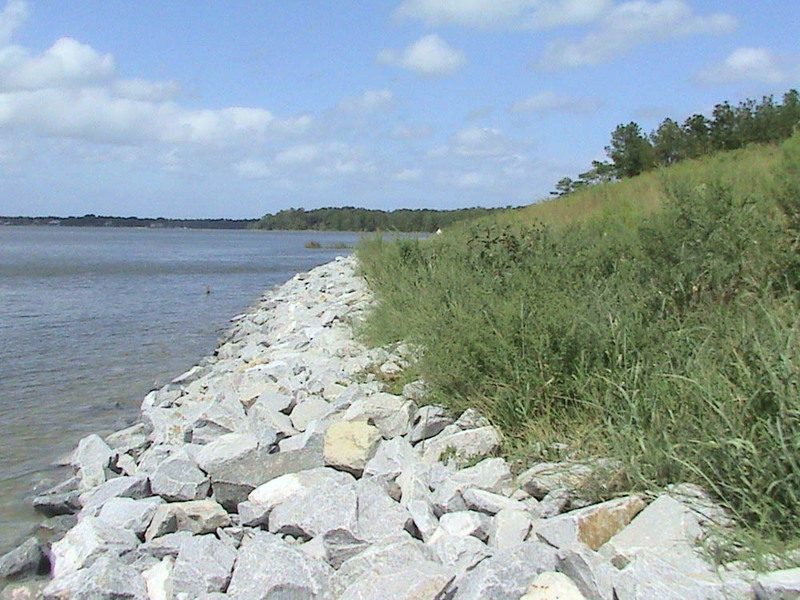 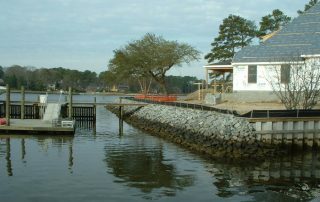 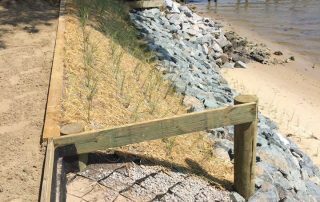 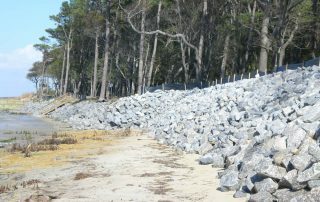 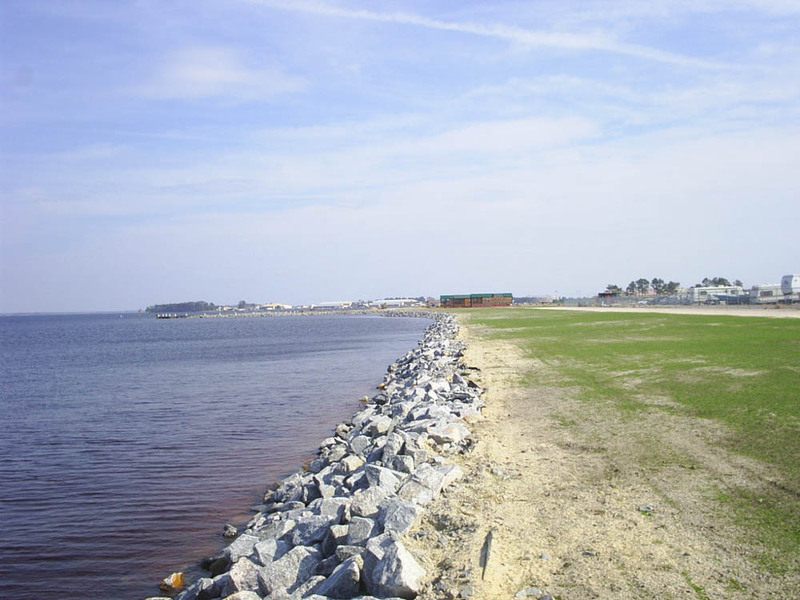 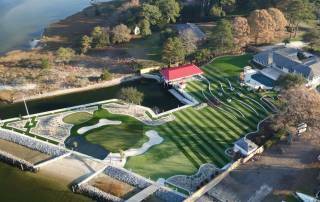 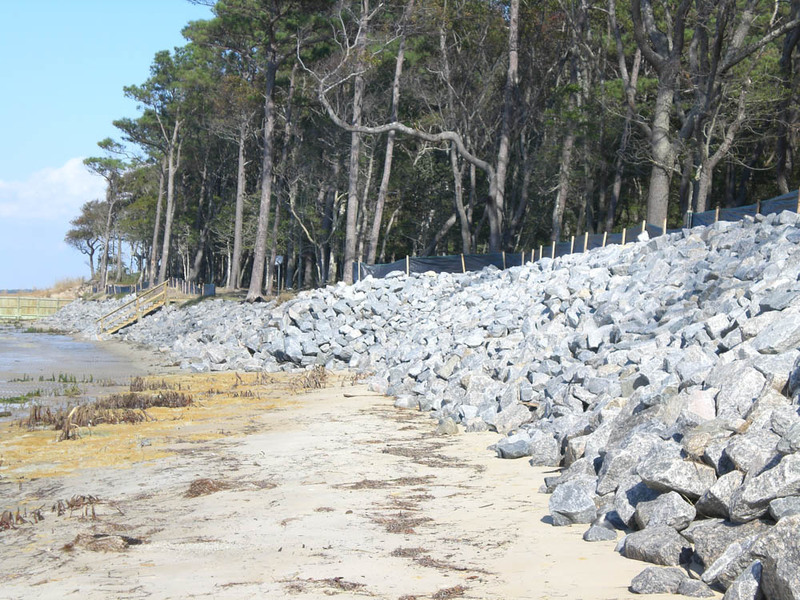 Rip-Rap is rock or other material that is used along a shoreline to protect it and other structures from erosion. 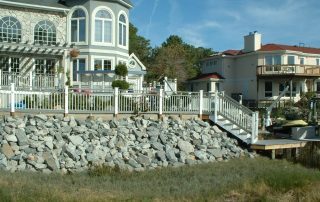 It works by absorbing and deflecting the impact of a wave before the wave reaches the structure. 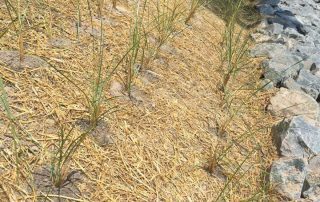 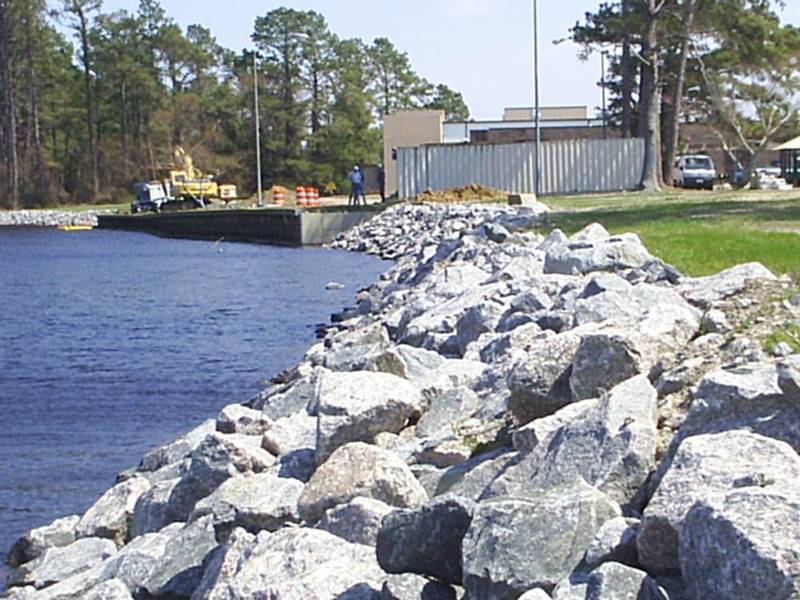 The size and mass of the riprap material absorbs the impact energy of waves, while the gaps between the riprap traps and slows the flow of water, lessening its ability to erode soil or structures. 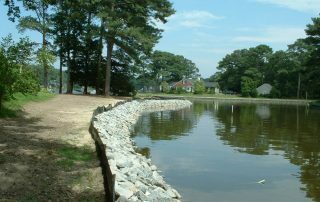 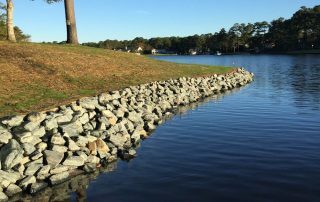 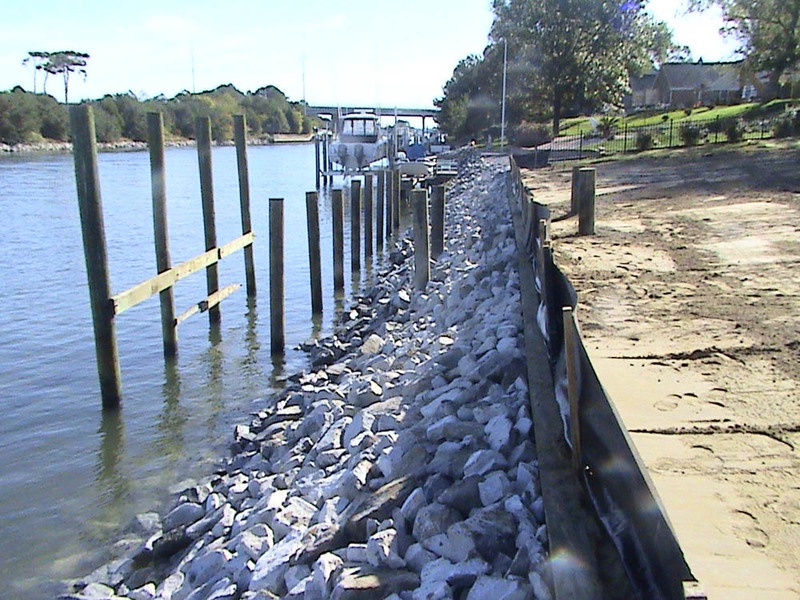 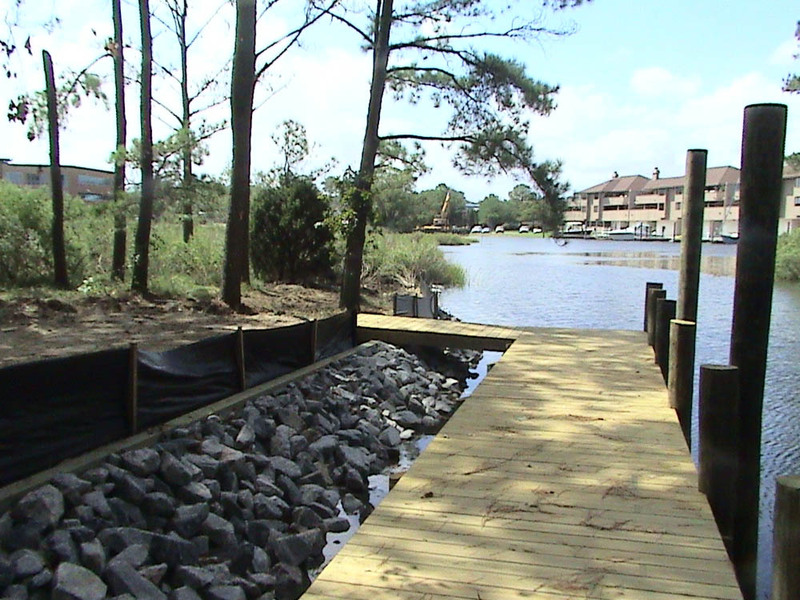 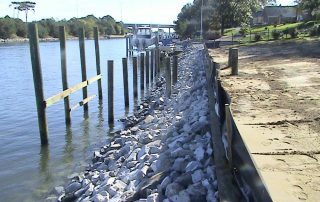 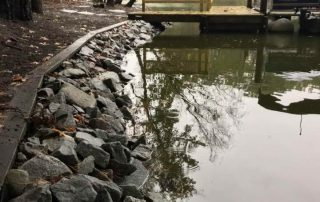 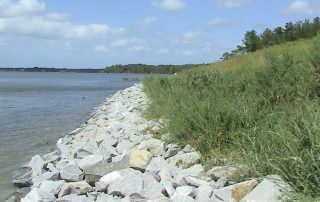 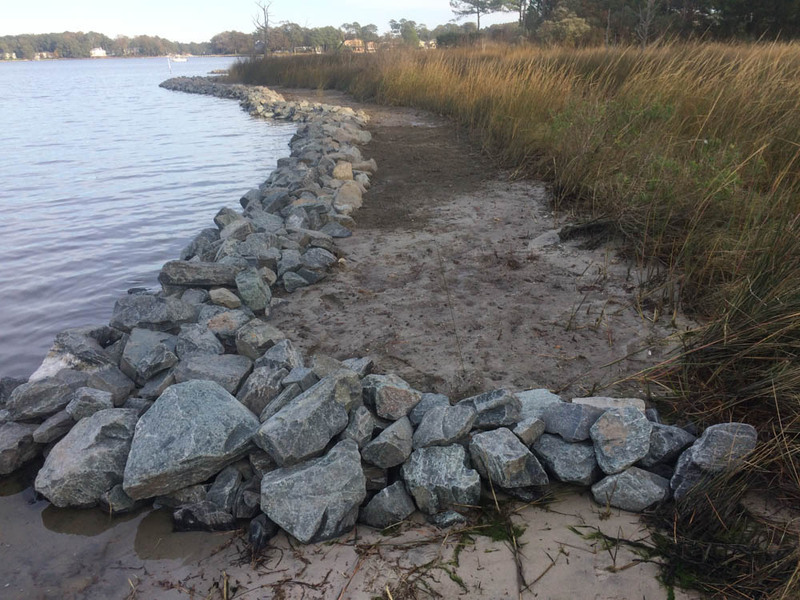 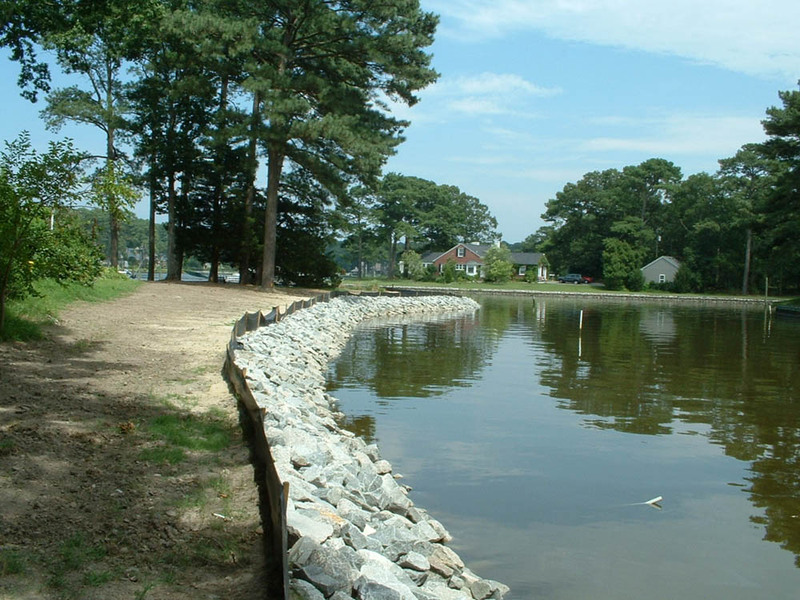 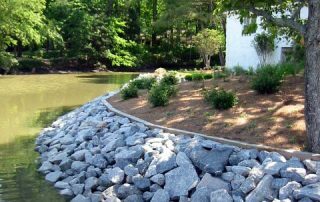 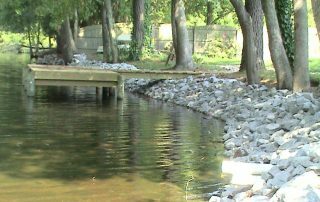 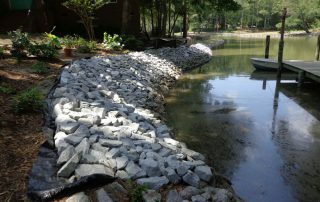 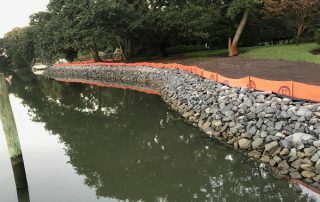 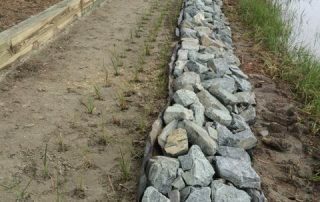 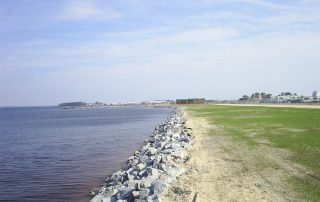 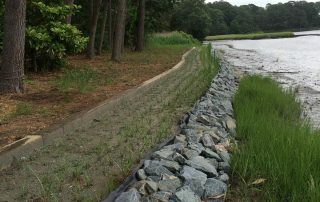 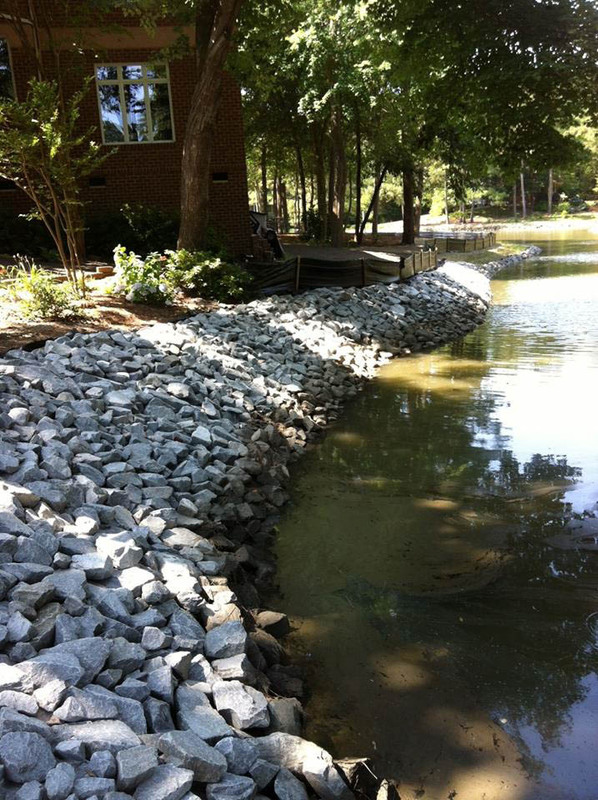 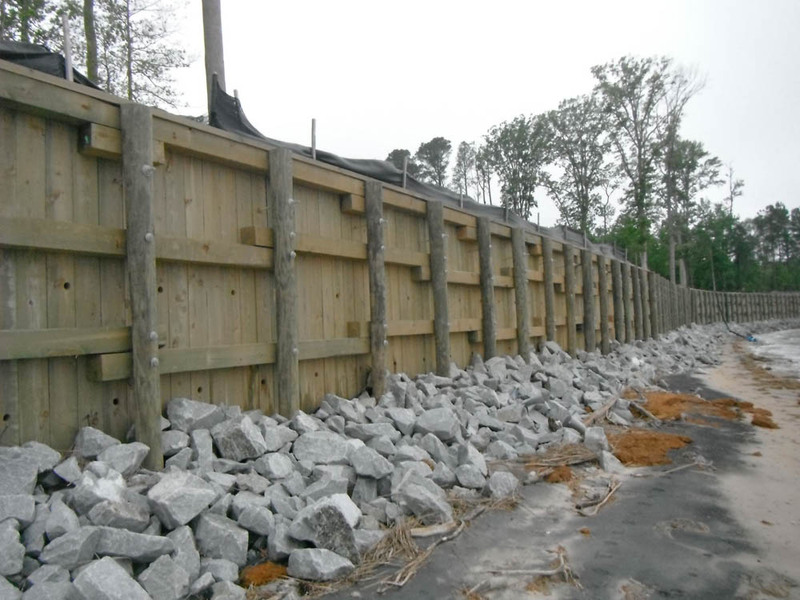 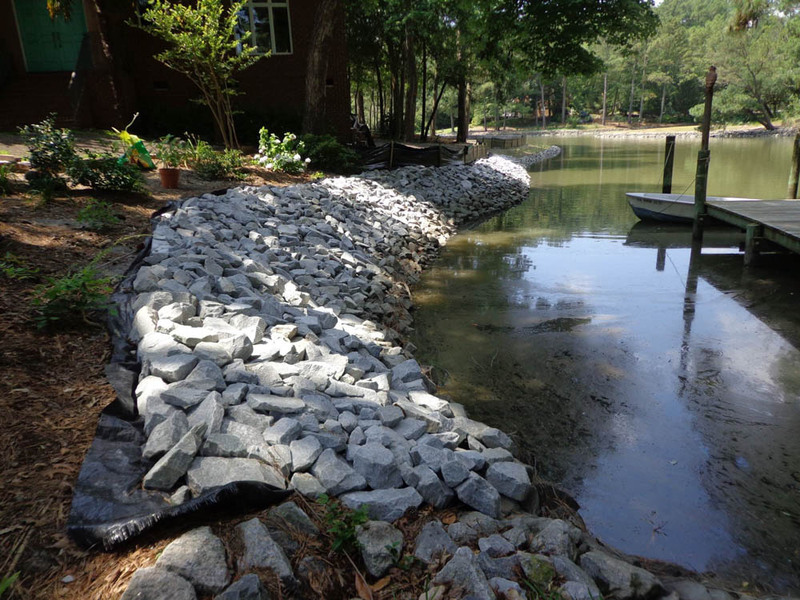 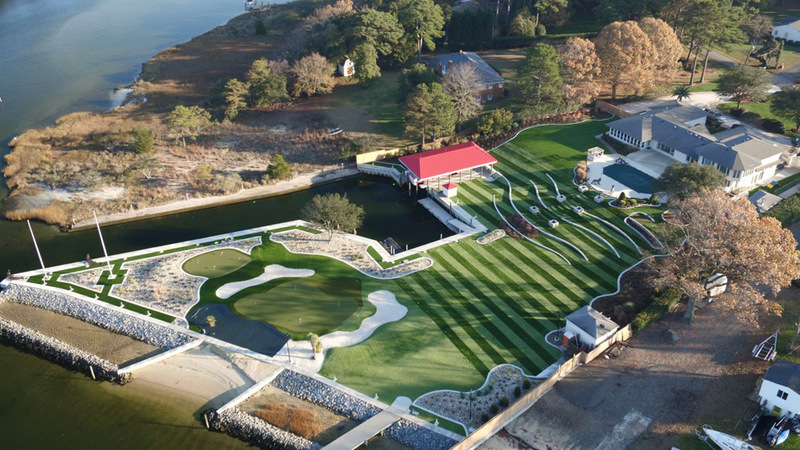 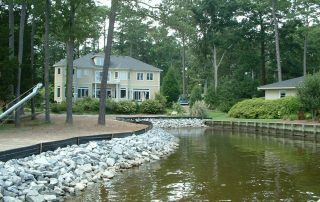 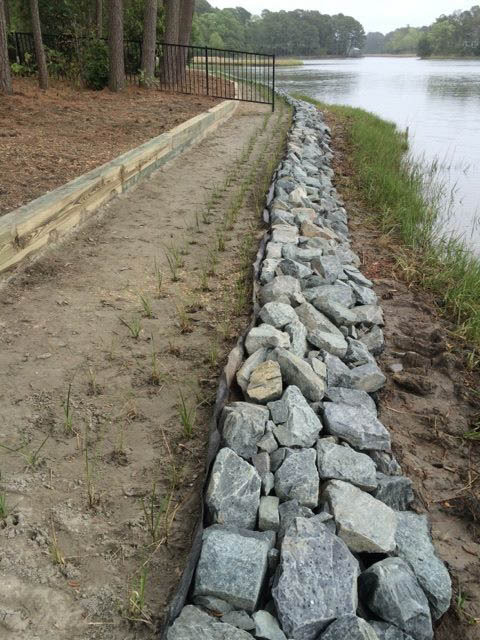 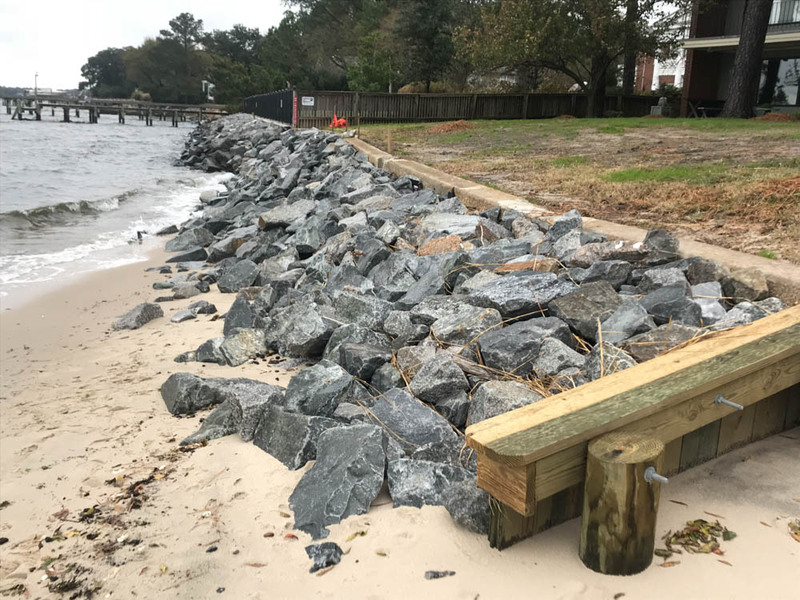 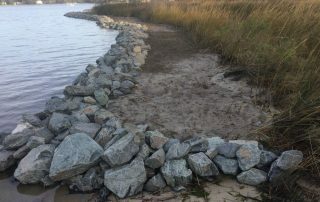 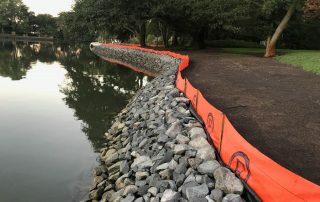 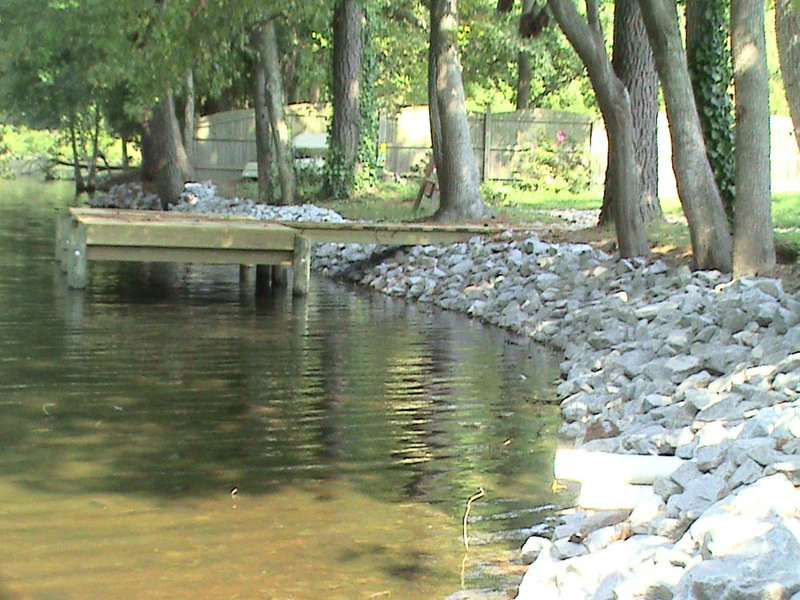 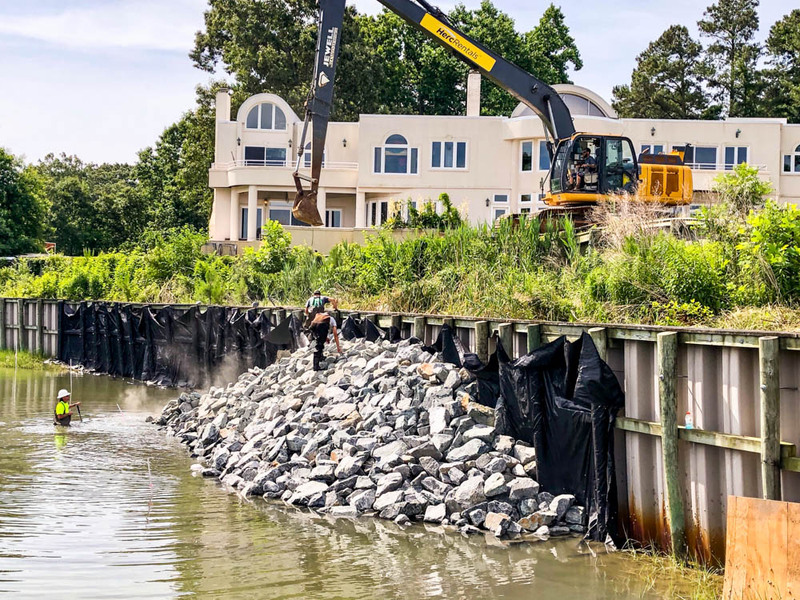 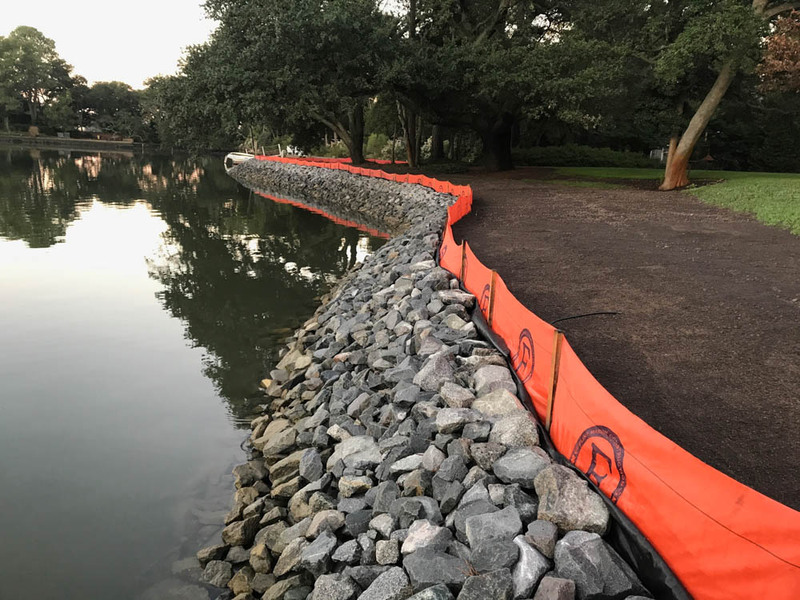 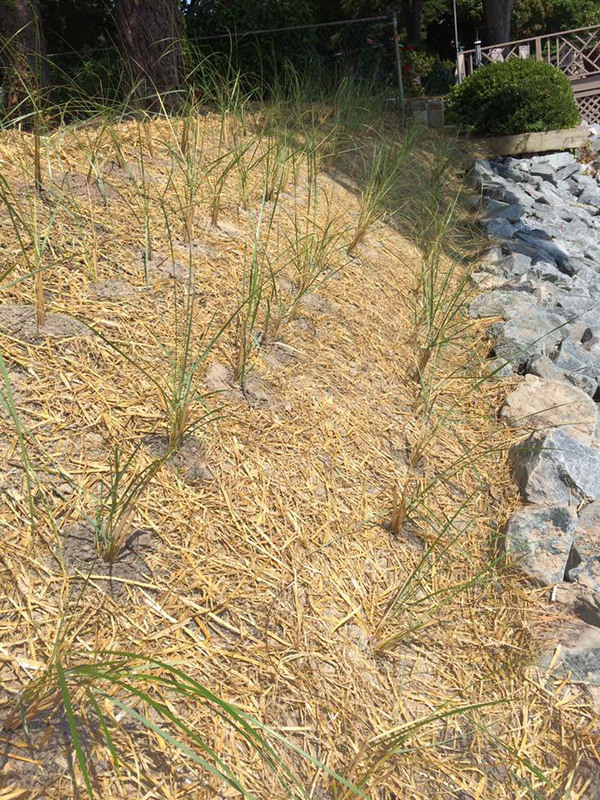 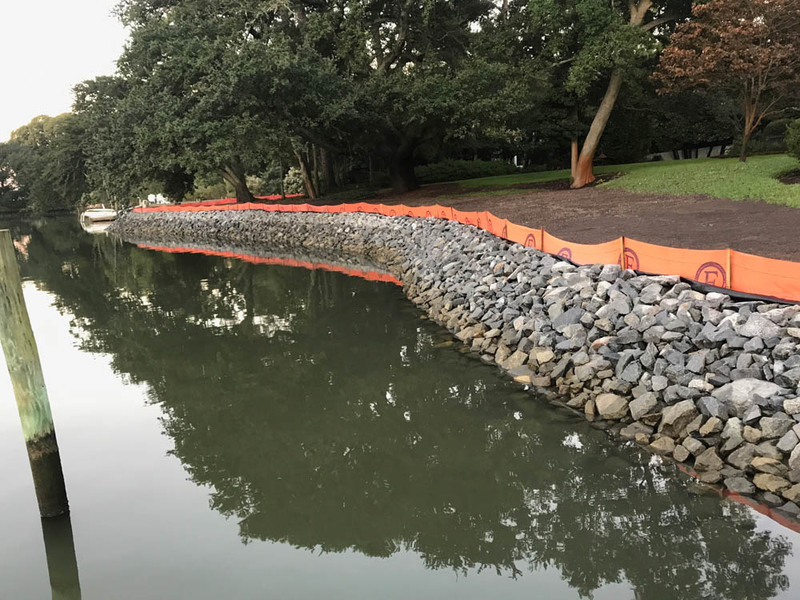 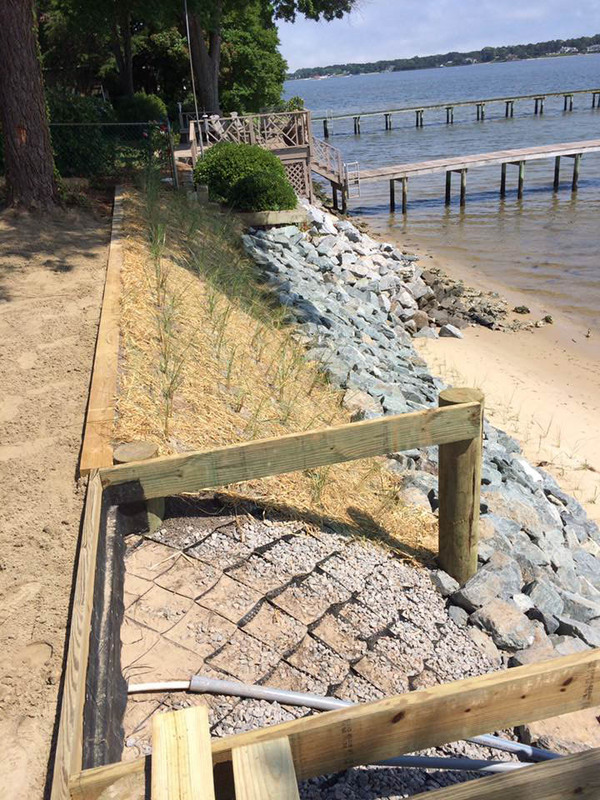 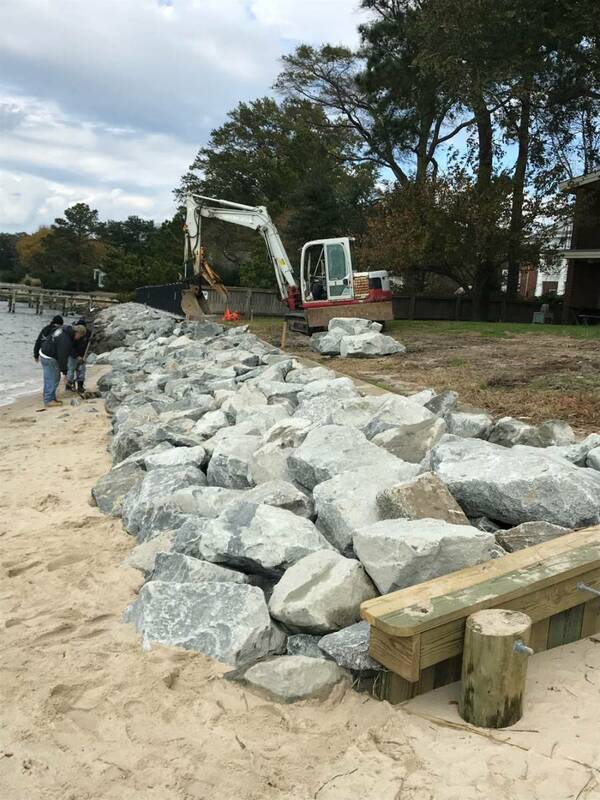 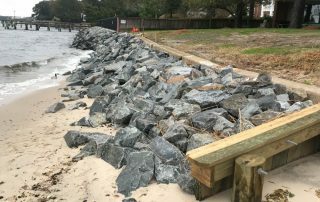 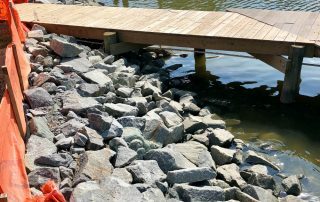 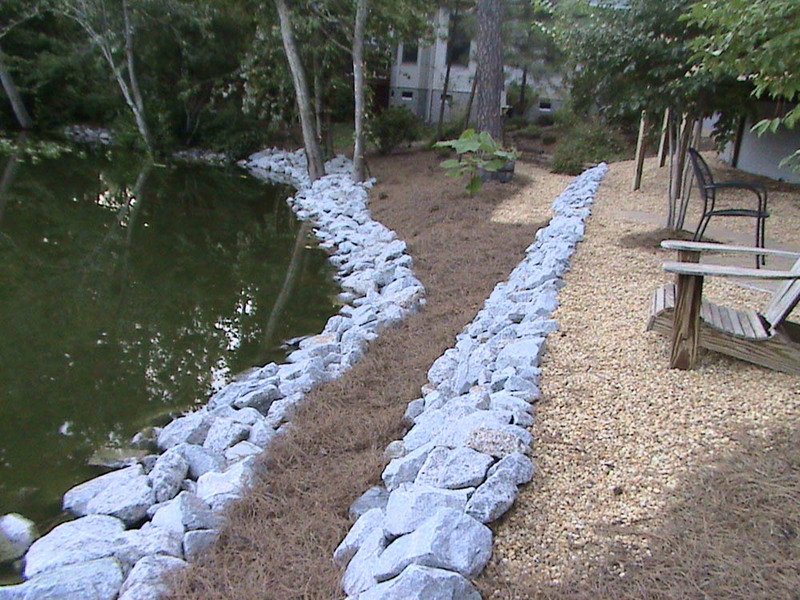 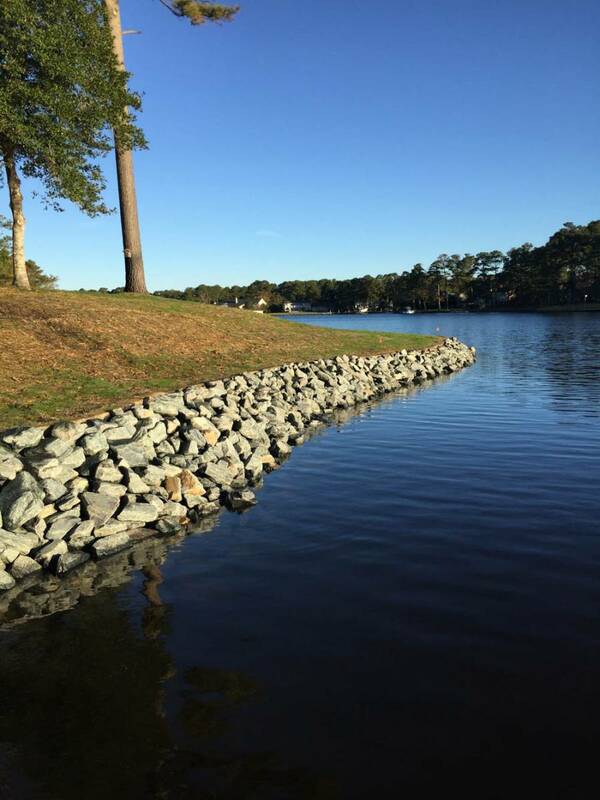 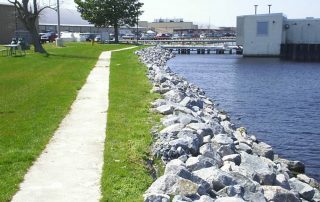 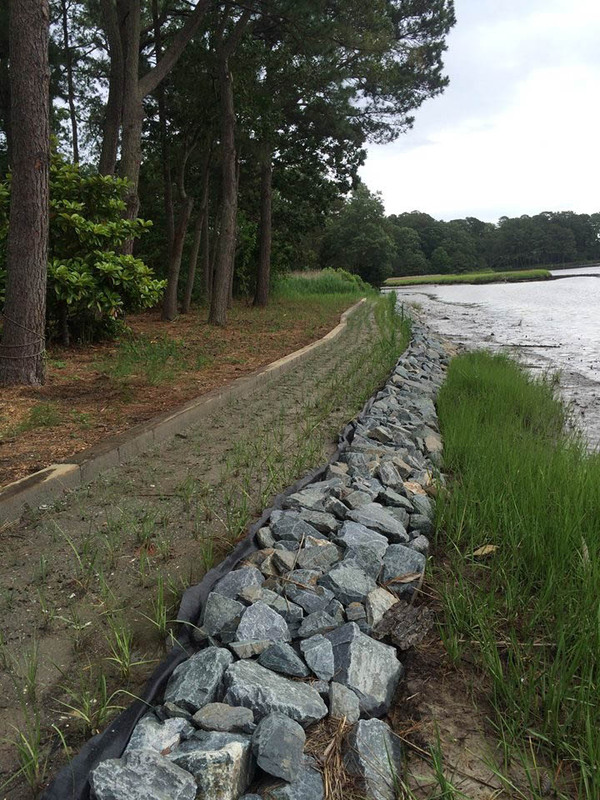 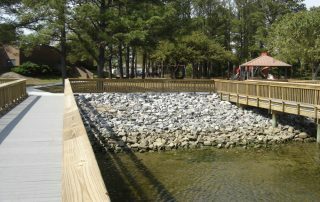 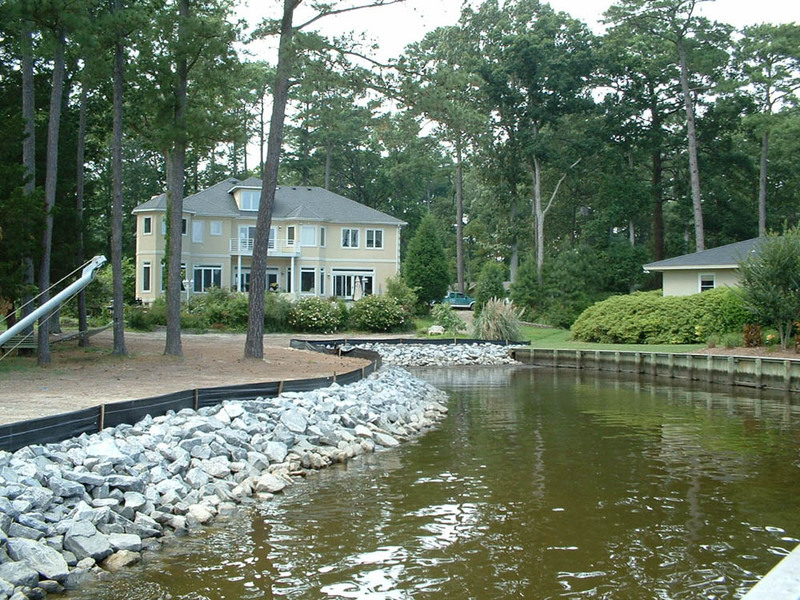 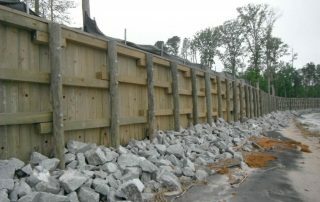 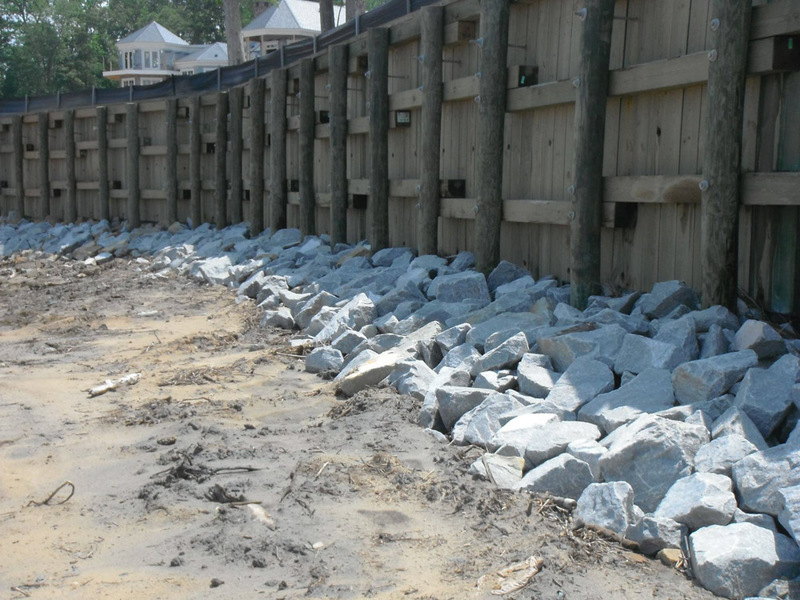 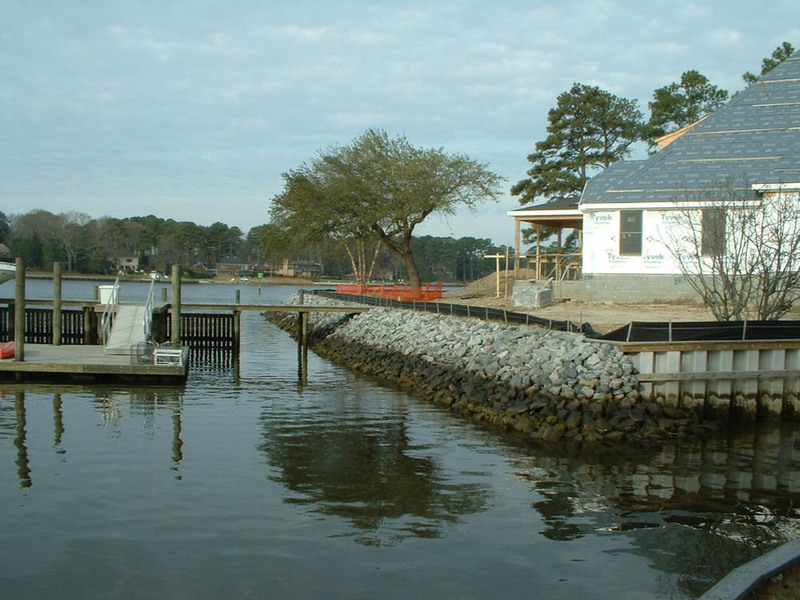 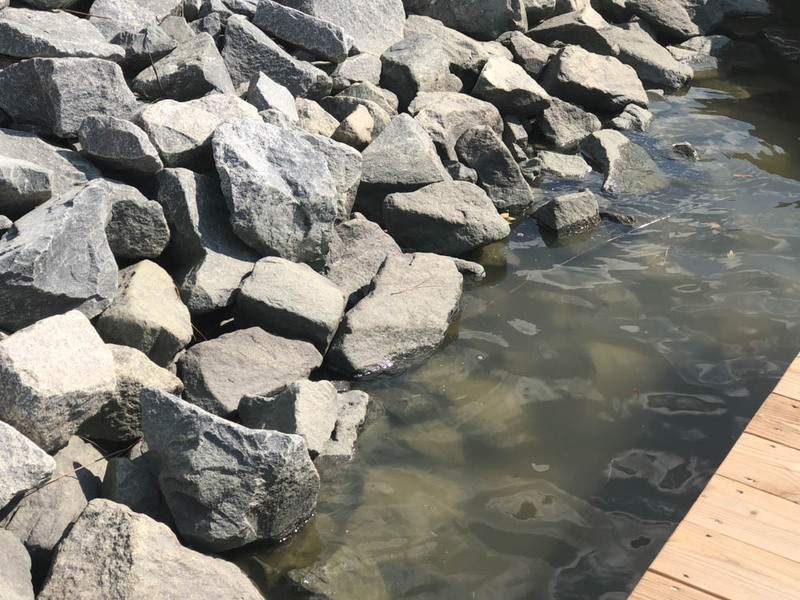 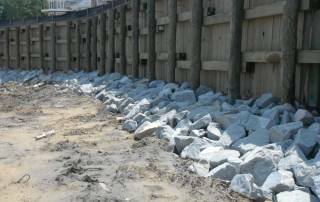 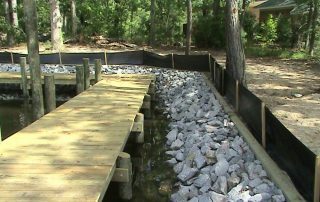 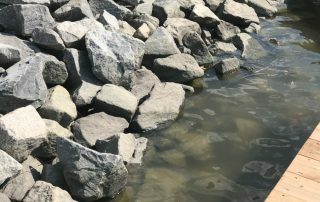 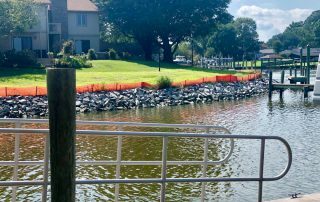 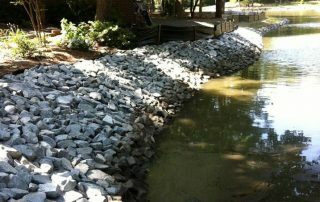 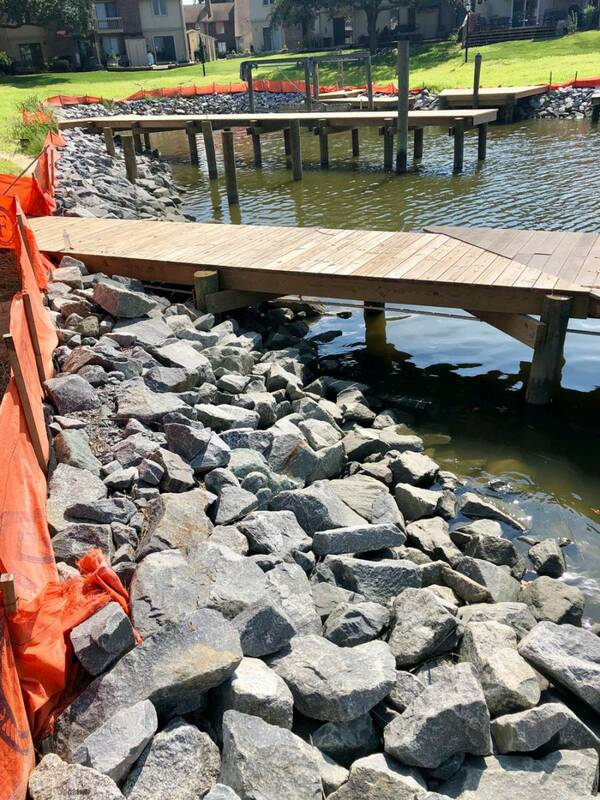 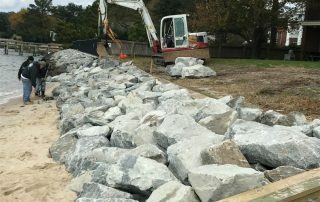 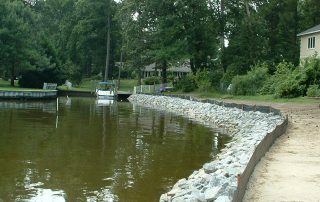 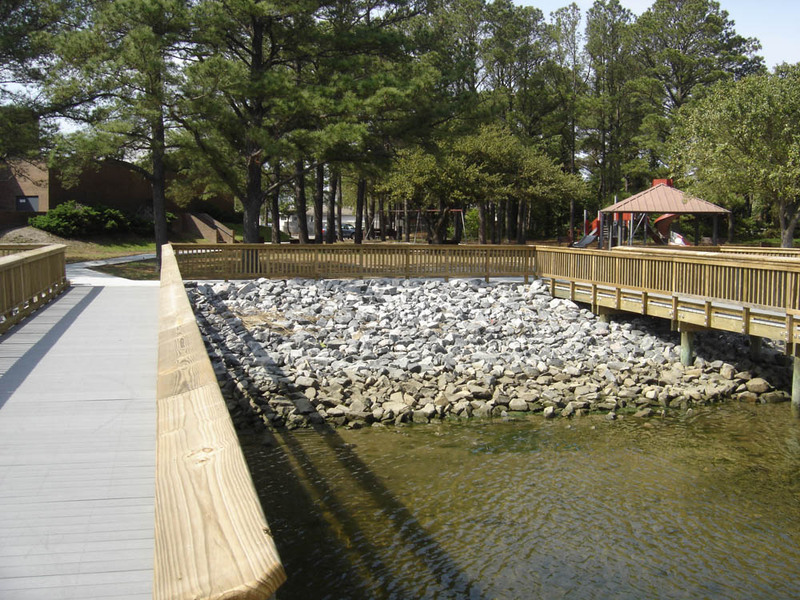 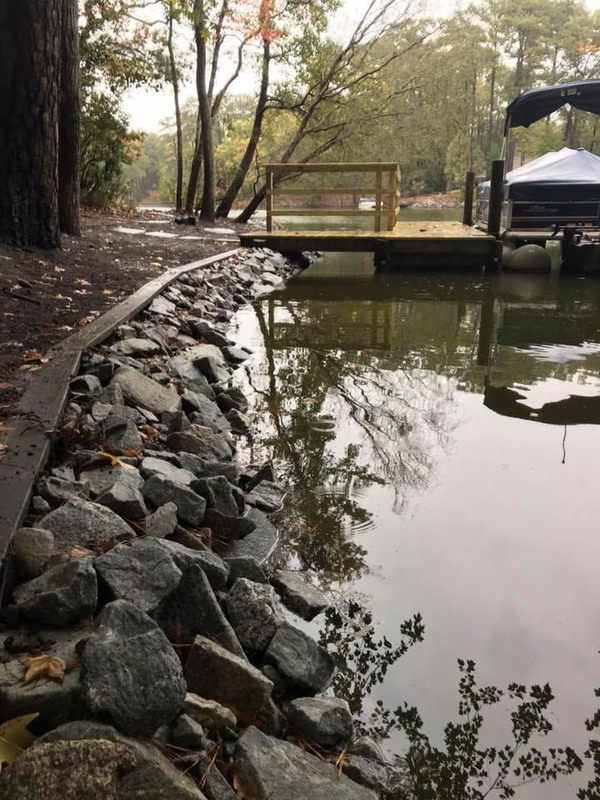 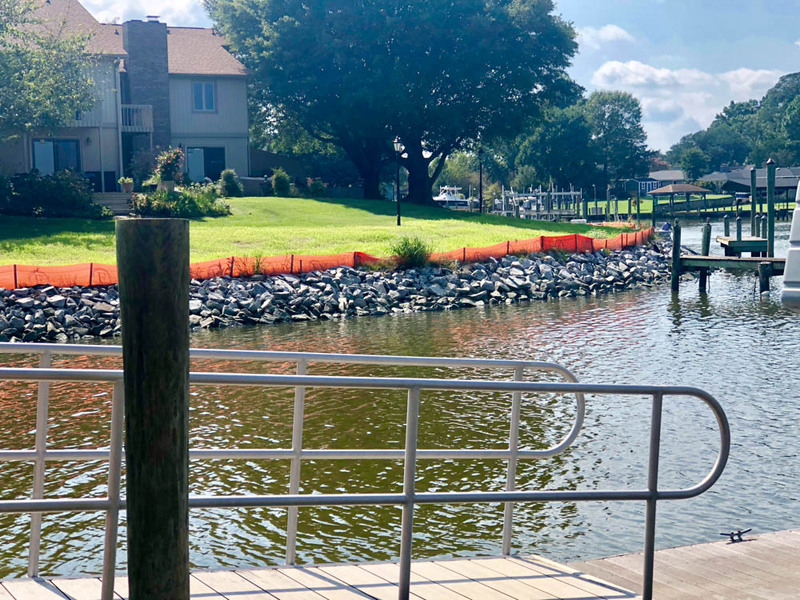 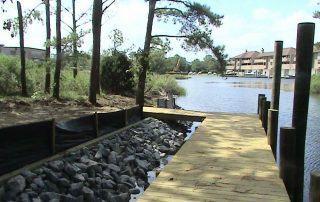 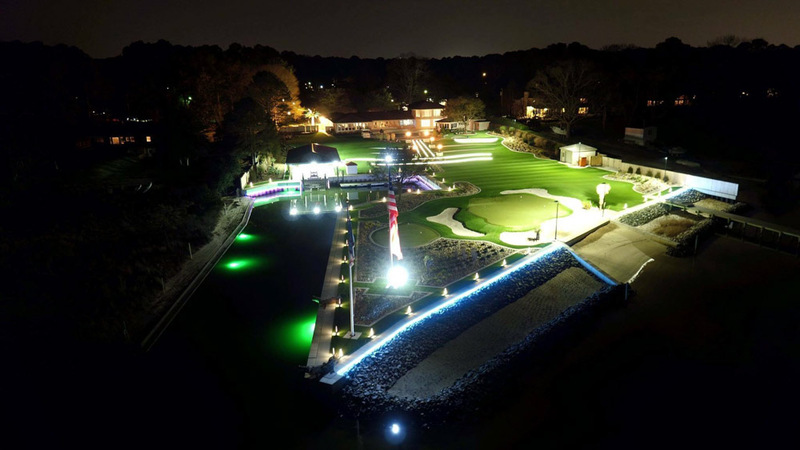 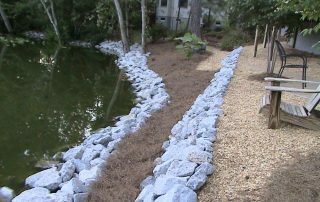 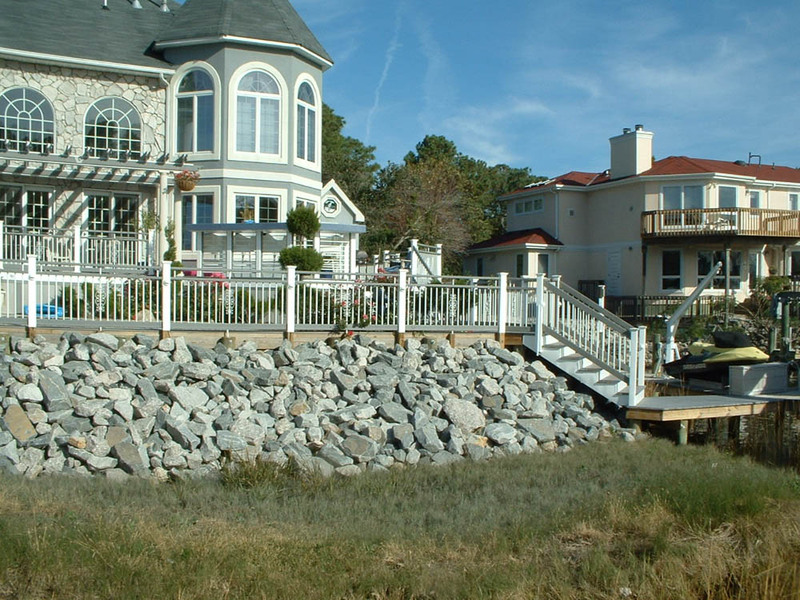 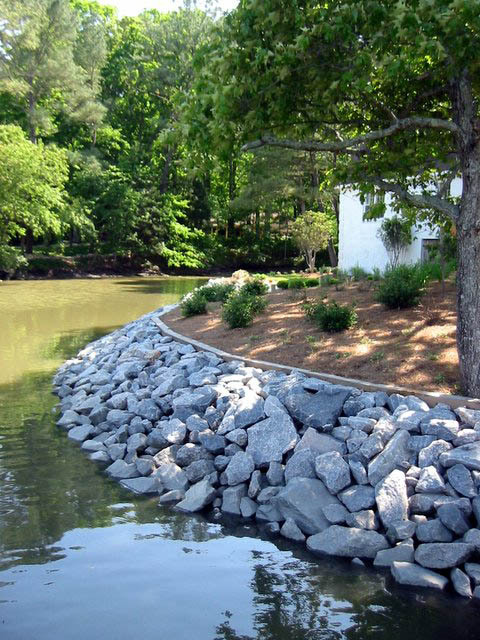 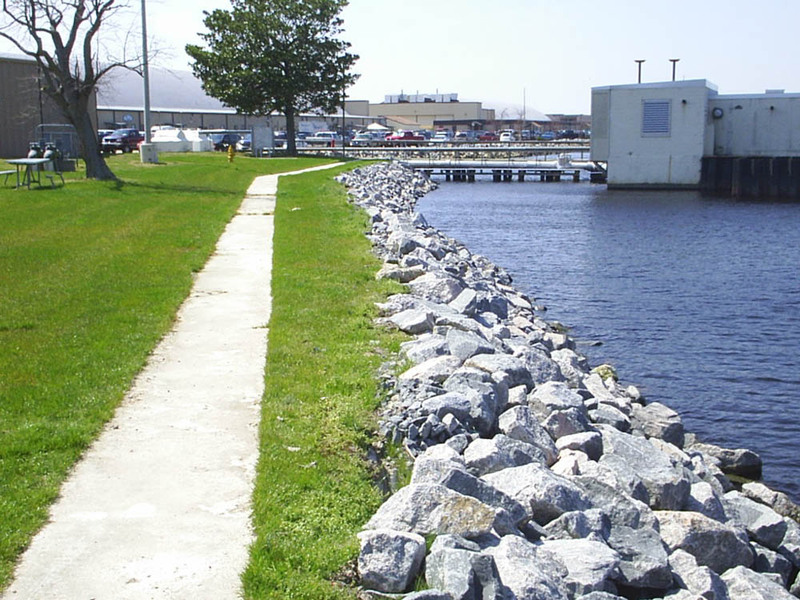 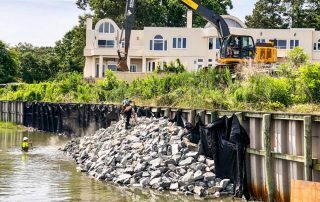 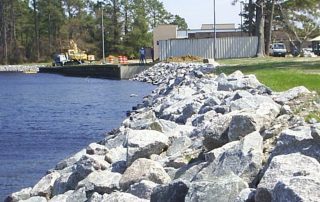 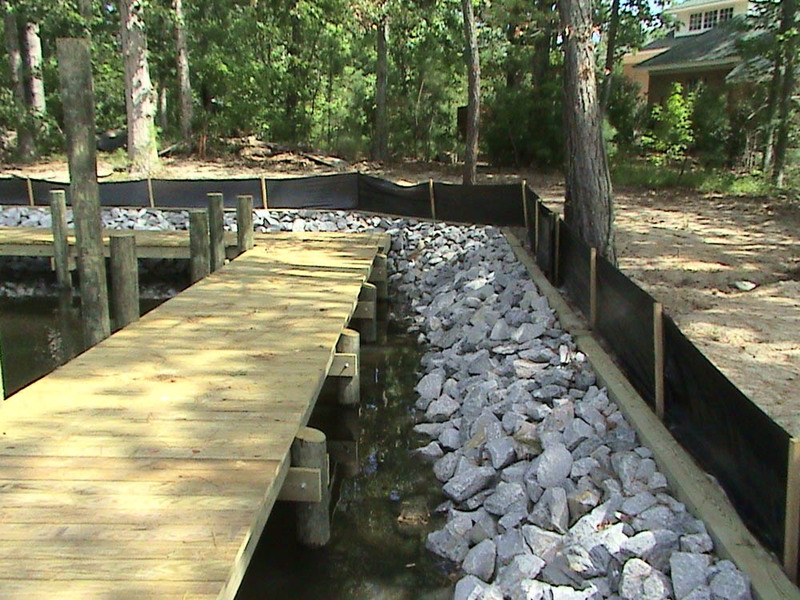 The mass of riprap also provides protection against impact damage by ice or debris, which is particularly desirable for bridge supports and pilings.